Manufactured by Umbro, the titular mantle of Vasco da Gama for 2017 can be customized with name and number. The women's home shirt features polyester in its composition and breathable mesh fabrics. More info. Manufactured by Umbro, the titular mantle of Vasco da Gama for 2017 can be customized with name and number. The women's home shirt features polyester in its composition and breathable mesh fabrics that take care of ventilation and moisture management of the body. 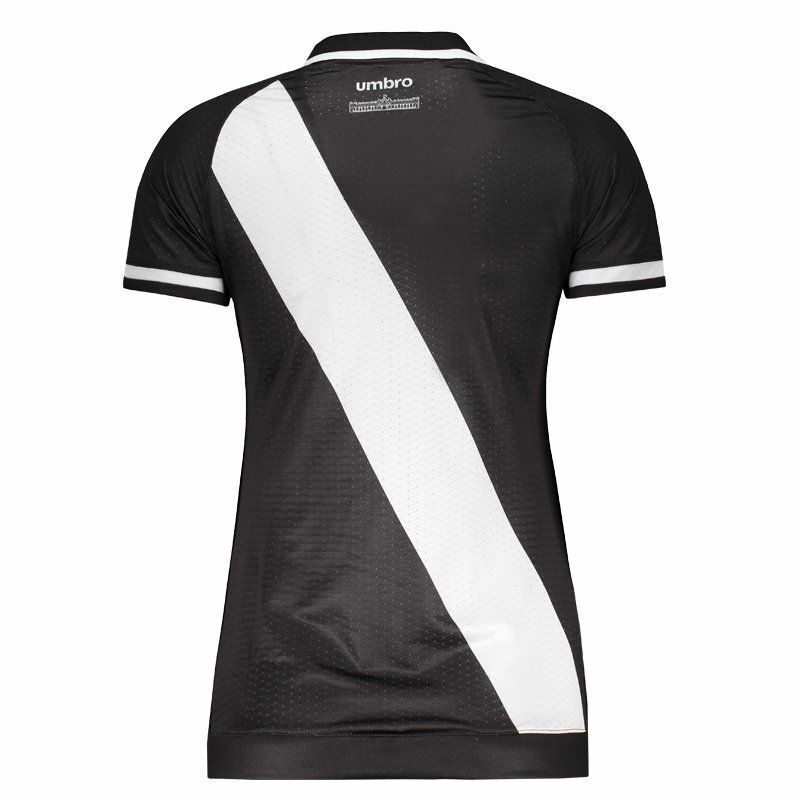 Its design pays homage to the 90 years of the stadium of St. Januario, home of Cruzmaltino and presents black as the predominant color, in addition to bringing the traditional white stripe, highlighting the team badge, embroidered on the chest. Already on the opposite side, soon from Umbro and sponsorship are present. The collar, in turn, is special-cut polo. Finally, next to the bar and the neck, it has a seal that celebrates the 90 years of the stadium.